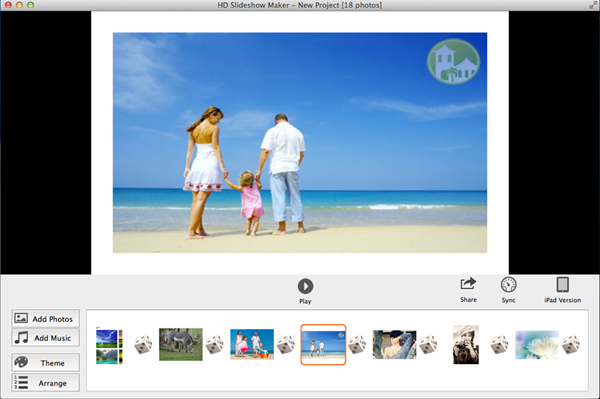 HD Slideshow Maker for Mac is a slideshow video maker which can easily turn your pictures into a YouTube video with music, transitions,theme. Then you can upload the video to YouTube and Facebook directly, or save it as a video on your Mac. 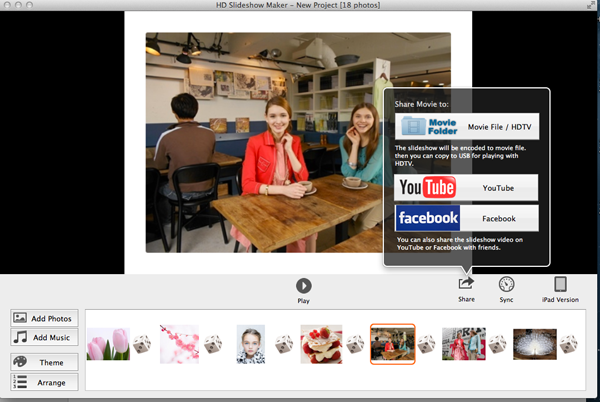 With HD Slideshow Maker, you can make a YouTube video in three minutes. 1. 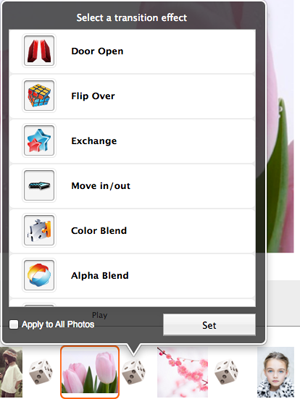 Import photos to the slideshow maker and arrange photo order. 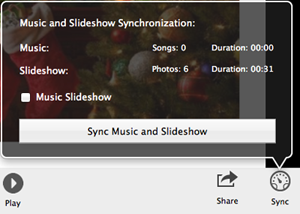 Click “Add Photos” to locate and import to HD Slideshow Maker from Mac. Click tab “Arrange”, then drag and drop to arrange photo order. 2. Add background music. Click “Add Music” , you can add more than one songs as video background music. 4. 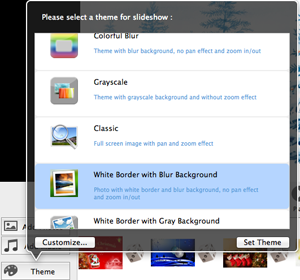 Choose and customize a slideshow theme. HD Slideshow Maker provides various slideshow themes for choosing, also it enables you to customize a selected theme with a beautiful image. 5. Choose transitions for slides. The software can automatically apply random transitions to slides once photos are imported. If you want to change transitions, click the “Transition” icon and click transitions you like to apply them. After customizing the slideshow video, you can upload the video to YouTube directly. Click “Share” button and choose “YouTube”, then sign in your YouTube account and upload the slideshow video to YouTube for sharing with friends. Also you can write title, description and tags for the video, so people can search for it easily. This entry was posted in Mac Slideshow Maker and tagged create youtube video on mac, mac youtube video maker, make slideshow video for youtube on mac, make youtube video on macbook on January 21, 2013 by Sarah Jablich.